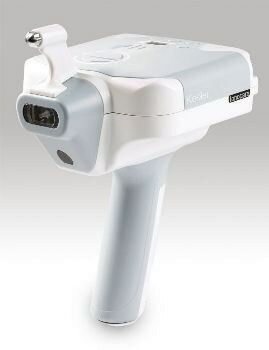 The TonoCare is set to revolutionise the hand-held market and build on the well-trusted Keeler Pulsair range. Designed and built with patient comfort in mind, the TonoCare is truly simple to use and gives consistently fast, accurate and reliable readings. Whatever the mobility of the patient and wherever it’s being used, the TonoCare offers exceptional performance time and time again. The TonoCare uses soft air puff technology, meaning it doesn’t require disposable pins. This results in the end user dramatically reducing cost and saving time on reordering consumables. Easy to follow instructions and intuitive controls ensure users can be fully trained in a matter of minutes. The lightweight, yet robust, hand-held form means it quickly and easily adapts to use in many different environments. Thanks to Keeler’s significant investment in the development of the product, the TonoCare is ready to use in less than 10 seconds after being switched on; readings for both eyes can be achieved in 90 seconds. The highly portable unit allows measurements to be taken wherever the patient is most comfortable; whatever environment they are in. The sleek product profile means the clinician can maintain visual contact with the patient at all times, enabling them to reassure the patient throughout the measurement process. Air puff technology means no sterile consumables are required, keeping ongoing costs to a minimum. Safety is always front of mind for Keeler. The non-contact TonoCare ensures a minimal risk of eye damage or cross contamination. The TonoCare uses advanced optical and sensor technology for positional detection and puff control. Clear user controls and a colour internal display combine to provide exceptional usability. Warranty - The TonoCare comes with 2 years warranty as standard.